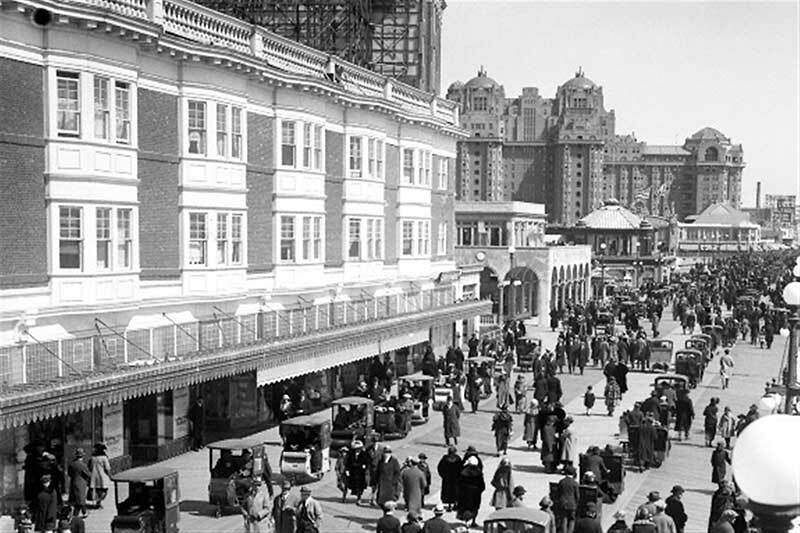 The Claridge Hotel and Brighton Park hold a rich and significant place in American history. 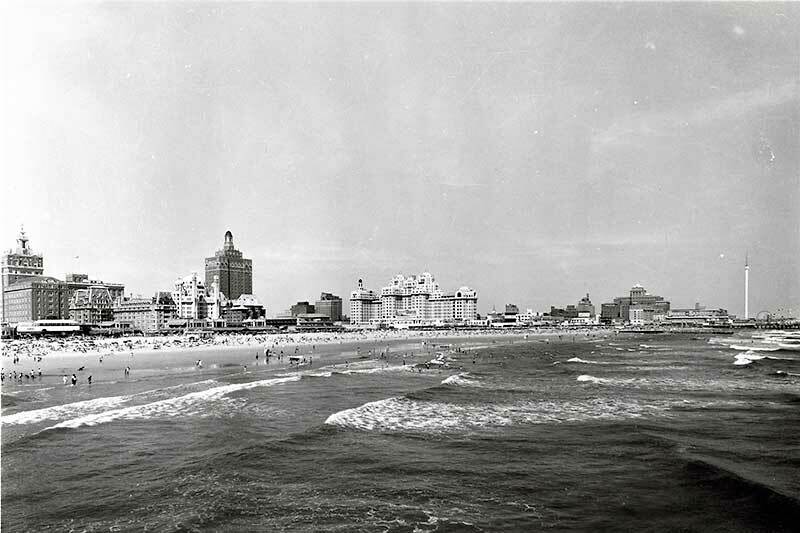 The property is centrally situated on arguably the most desirable plot of land in Atlantic City. 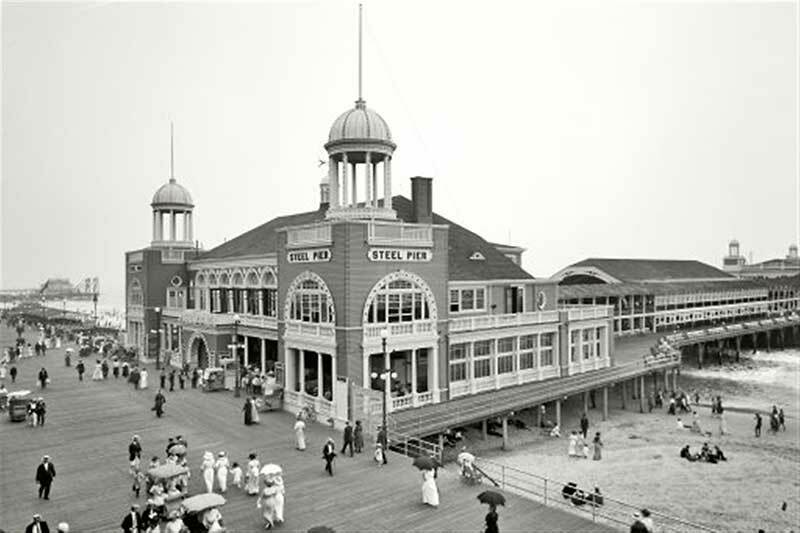 In the late 1700’s the founder of Atlantic City, Jeremiah Leeds, built his family settlement on this plot of land. 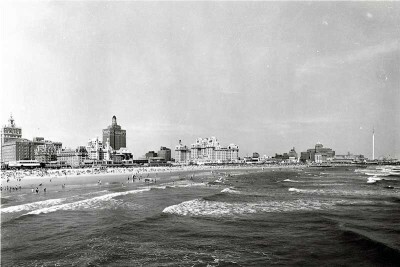 Atlantic City remained basically farmland owned by the Leeds’ family until Dr. Pitney moved his medical practice to the island in the early 1800’s. 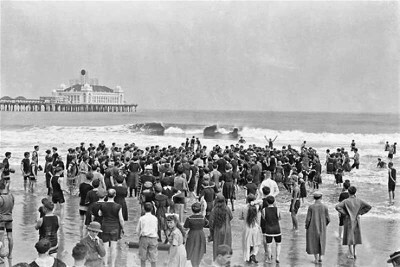 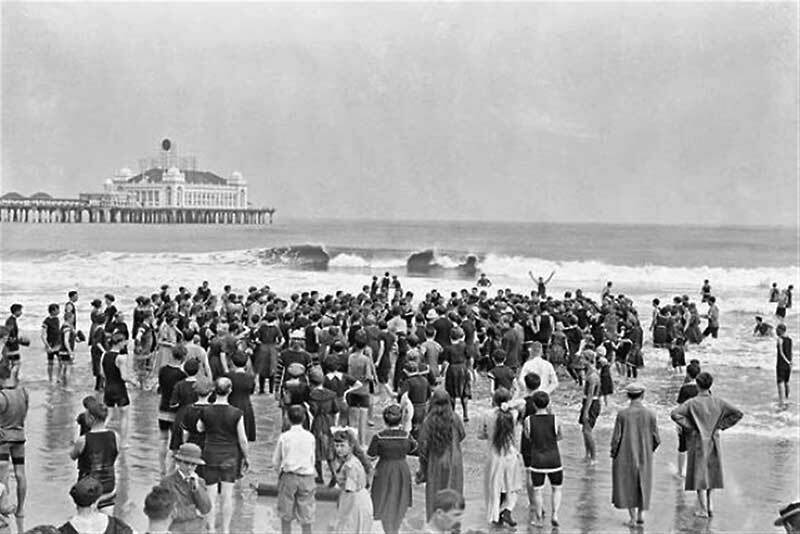 Renowned for its healing properties, Atlantic City enjoyed an explosion in popularity over the next hundred years. 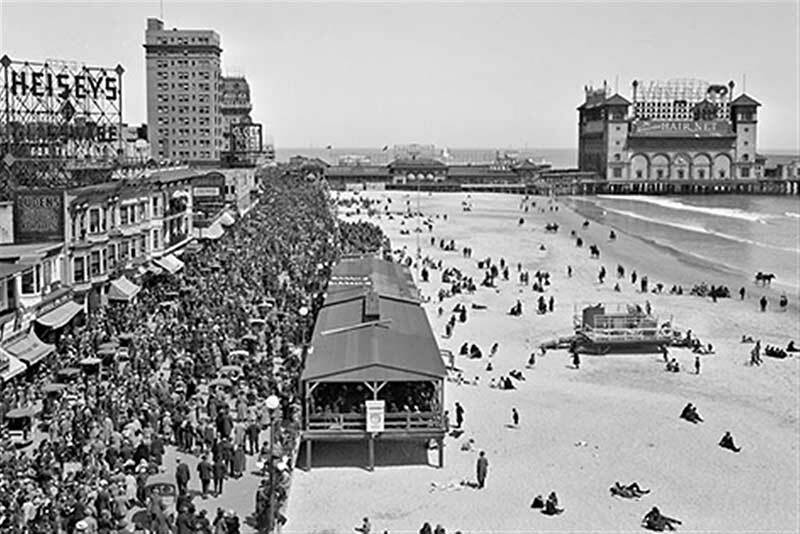 By the early 1900’s two railroads were bringing visitors to the famed city by the sea. 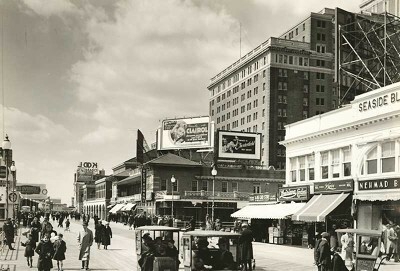 The northern track dropped passengers off at Tennessee Avenue and the southern track brought its passengers to Arkansas Avenue. 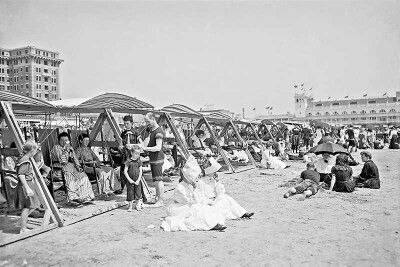 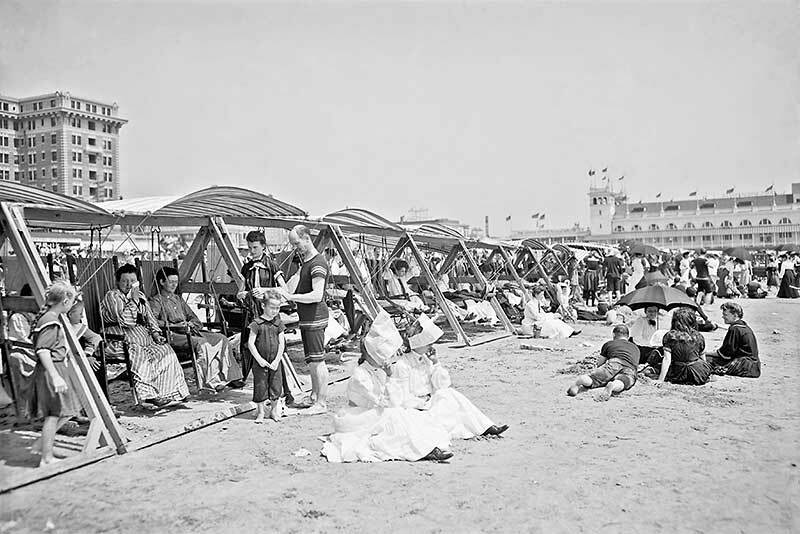 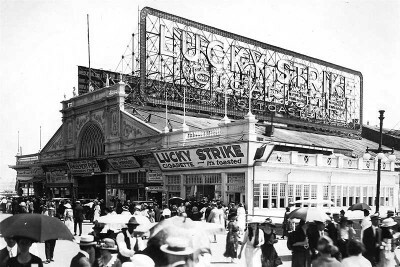 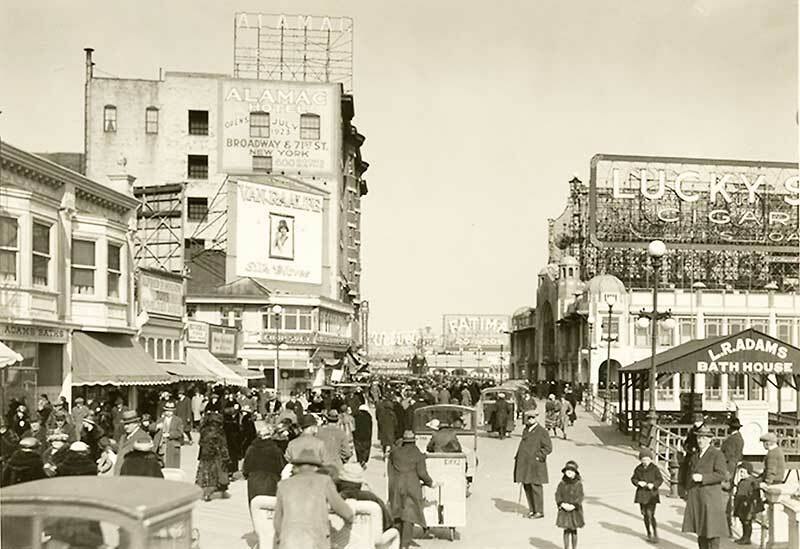 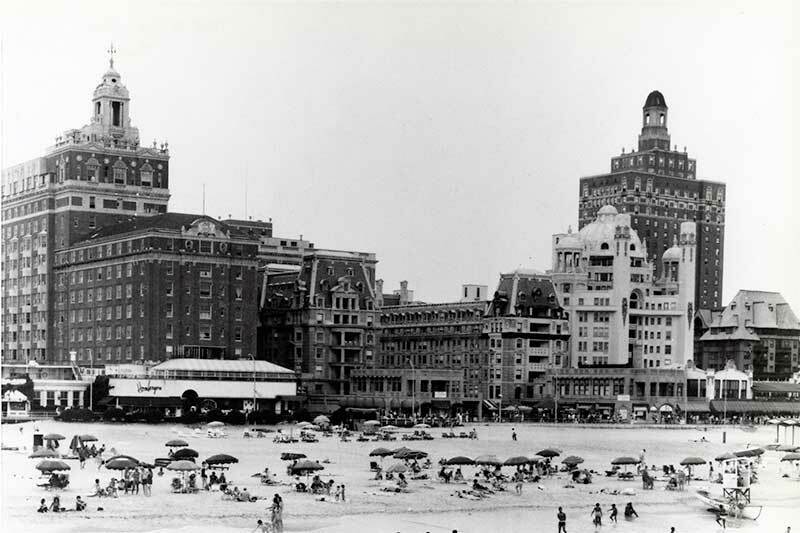 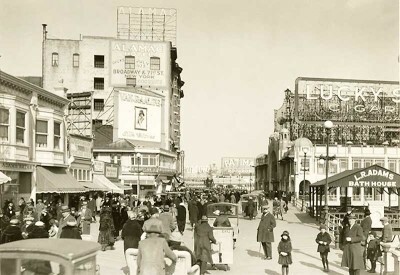 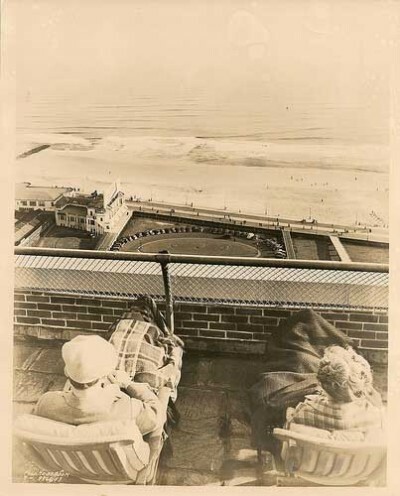 Between these stations the original hotels formed the much-desired strand, which gave Atlantic City is reputation as the “playground of the gilded age”. 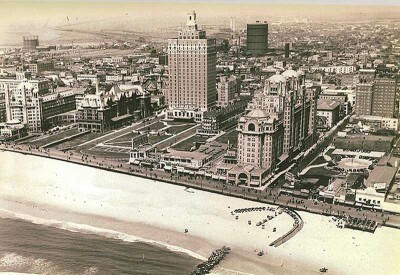 The most famous and by far grandest of Atlantic City’s illustrious hotels was the Claridge Hotel. 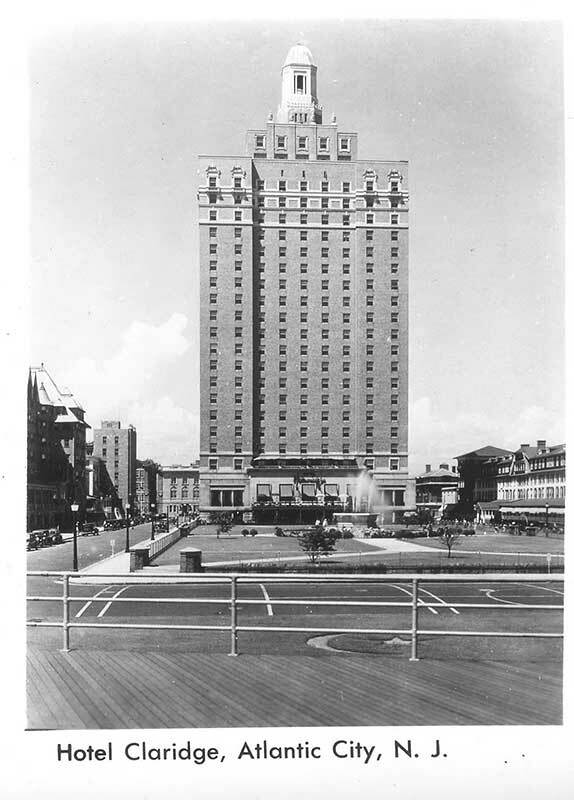 The 24-story hotel opened in 1930, during the great depression. 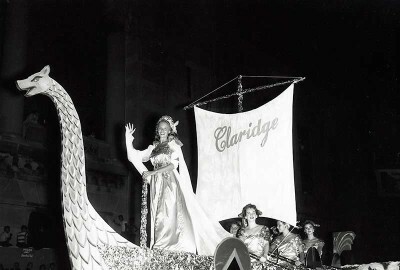 General Electric provided the Fountain of Light that was in the center of Brighton Park, in front of the Claridge, to celebrate the 75th anniversary of the invention of the light bulb by Thomas Edison. 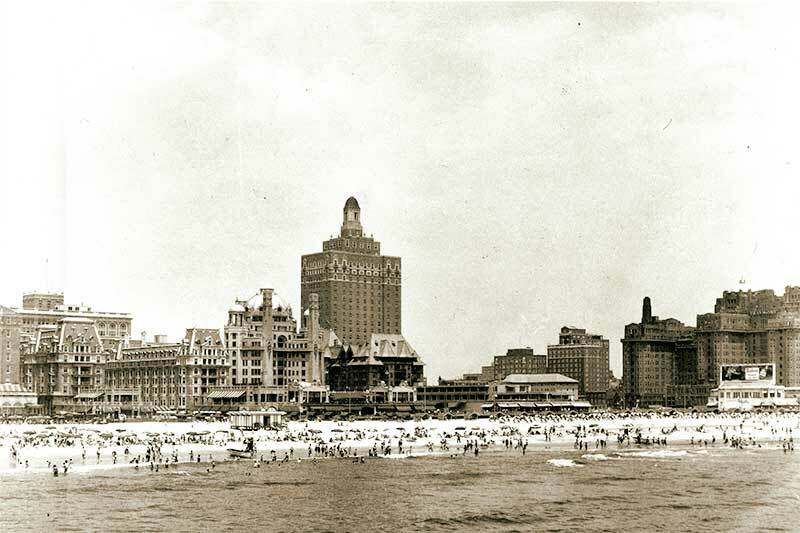 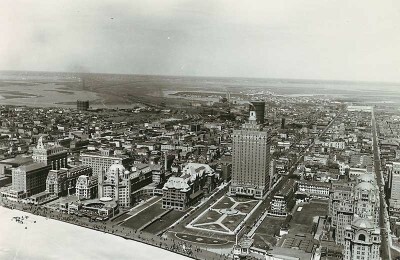 In the Boardwalk Empire era the Claridge was known as the “Skyscraper By the Sea” because of the Manhattanesque design. At 370 feet tall, the Claridge was the tallest building in New Jersey, earning it the nickname, “Skyscraper by the sea”. 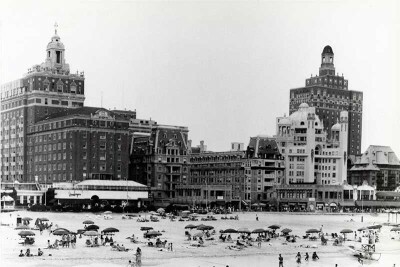 It was also the first and only hotel to have running hot and cold, fresh and salt water, as salt water was believed to have health-giving properties. 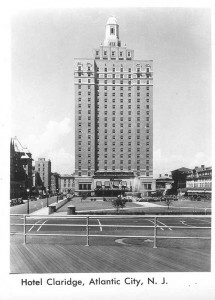 The famous Philadelphia builder, John McShain, built the Claridge and spared no expense in doing so. 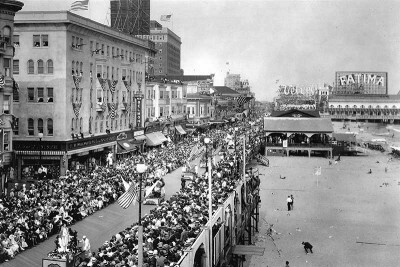 Although based in Philadelphia, McShain had a strong presence in Washington, DC. He would go on to build the Pentagon, the Kennedy Center for the Performing Arts, the Roosevelt Library in Hyde Park (NewYork), and the renovation of the White House. 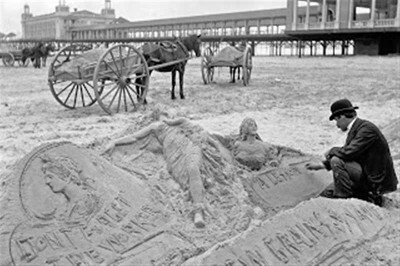 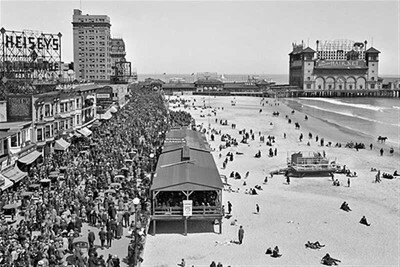 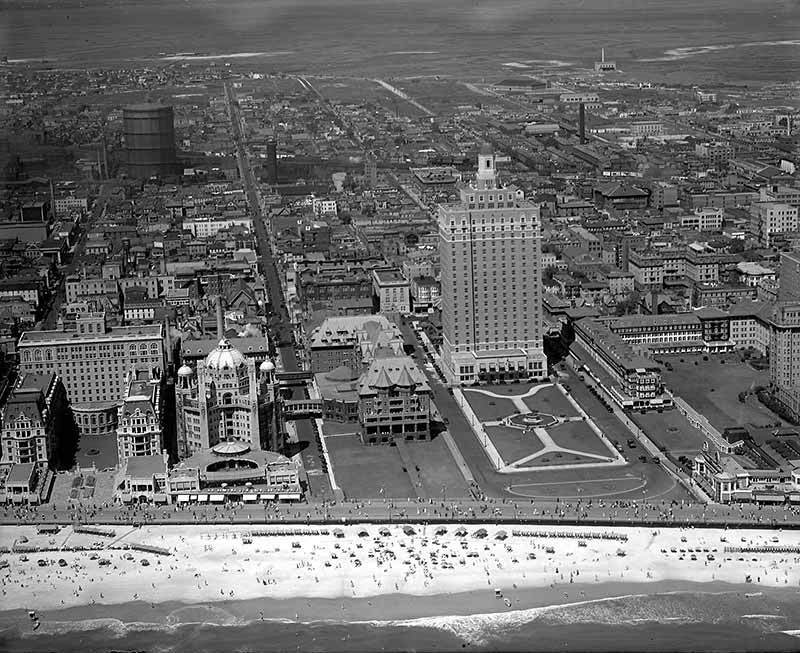 During the early 1940’s Atlantic City turned many of its hotels over to the United States government to aid in the efforts of World War II. In order to serve this country, the Claridge housed The United State’s Air Force. 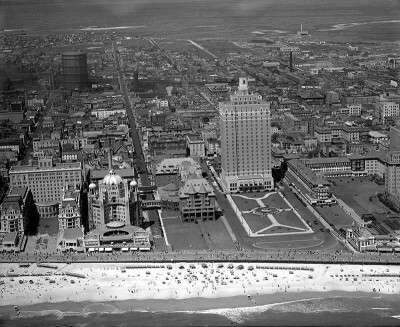 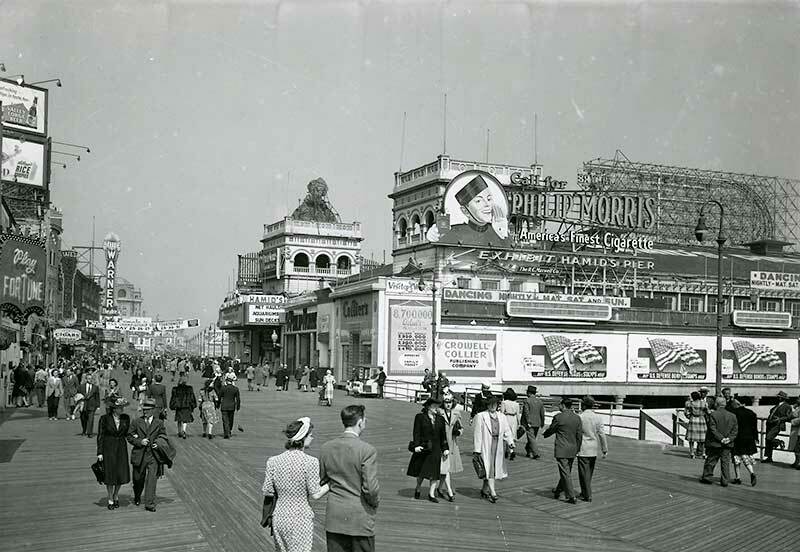 The military occupation of Atlantic City came to an end towards the close of 1943 and in November of this year, the attention of the Free World was on Atlantic City and the Claridge Hotel. 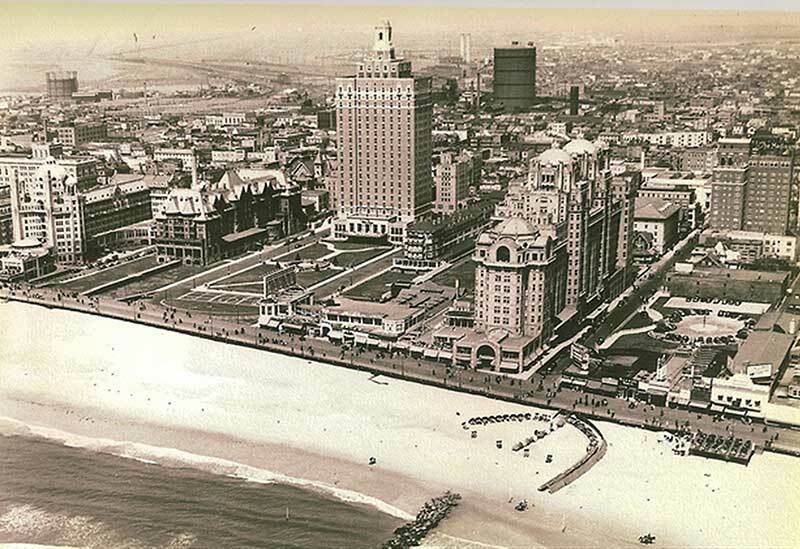 As the most elegant hotel in Atlantic City, the Claridge was chosen to host delegates from 44 nations who were gathering to hold what may have been the most important international conference of the time, the United Nations Relief and Rehabilitation Administration World Conference. 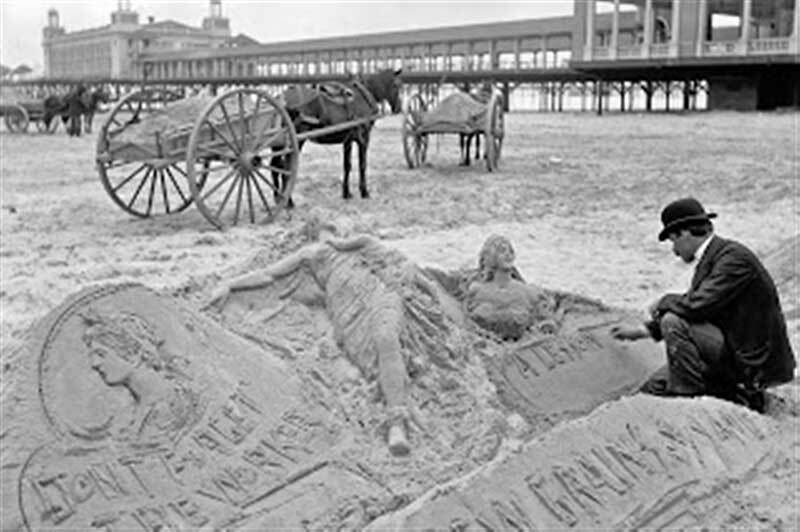 The purpose of this conference was to “shorten the war and save the peace”. 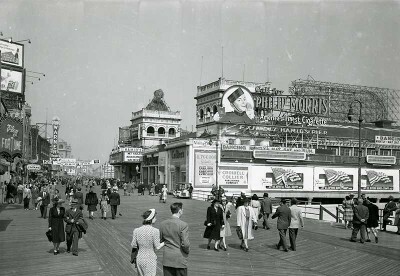 At this conference, three of the most important participants against the Axis Powers signed a pact: for Russia the Soviet Ambassador Andrei A. Gromyko, for Great Britain the British Ambassador Lord Halifax, and for the United States President Franklin D. Roosevelt were all in agreement. Affable service in elegant settings has continued to draw visitors to this Manhattenesque hotel for many years to come. 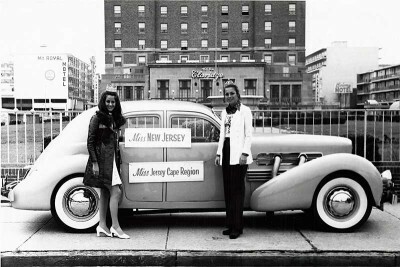 The glamorous Marilyn Monroe stayed at the Claridge during the fifties when she was grand marshal of the annual Miss America Pageant. 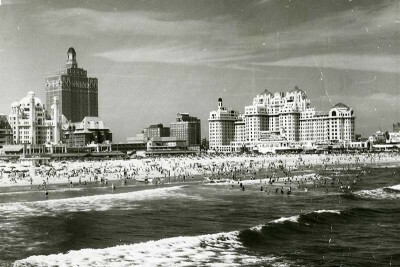 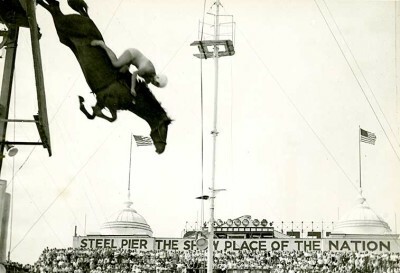 Other famous guests included Frank Sinatra, Bob Hope, Princess Grace of Monaco, Al Capone, and Nucky Johnson. 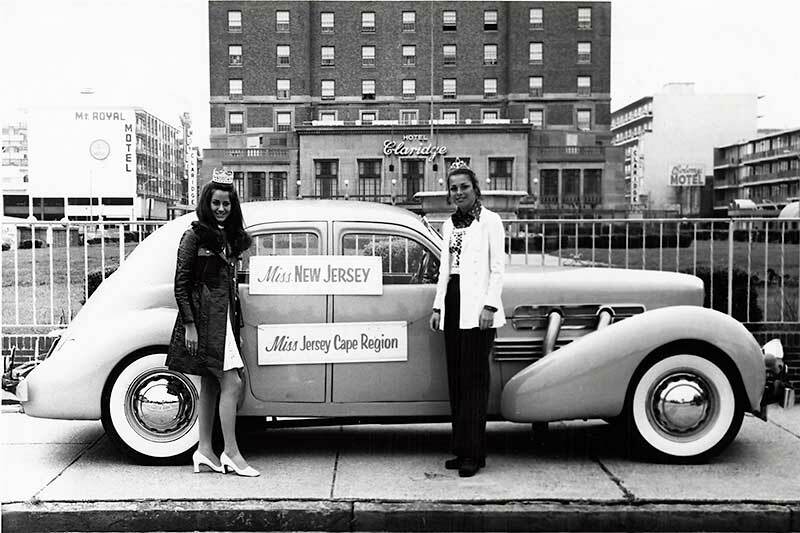 Close to eight decades and many owners later, service remains central to the new management’s core values. As of February of 2014, TJM Atlantic City has taken the reigns as the newest owners of this historic hotel. 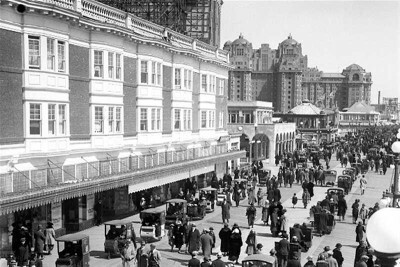 TJM Atlantic City’s vision for the future of “The New Claridge” will be a dedication to preserving the glamour, charm and rich history of this landmark while adding new and exciting amenities for guests. 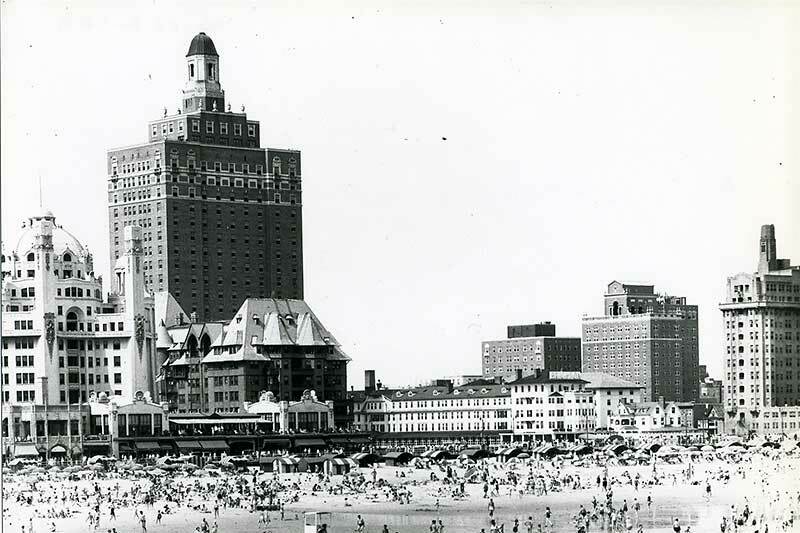 A complete renovation project is scheduled to restore the original elegance and flare of the property – the very same charm that once attracted the likes of international dignitaries, Marilyn Monroe, Princess Grace and many others.